Printed and bound by RPM Print & Design, Chichester. A sell-out audience of book manufacturers, publishers and suppliers to the book industry attended the annual Awards Dinner at The Brewery in London on Tuesday 9 November. Eleven awards were presented, recognising achievement in all aspects of British book production. The British Book Design & Production Awards are unique in the British book industry in that they are based solely on the design and production qualities of each book. The Awards are organised by the BPIF, The Publishers Association and Oxford Brookes University. This ambitious Spanish book contains over 140 photographs and diagrams, many in colour. Design work began in late March 2004 and the book went to print on May 15th, just six weeks later. Faced with time restrictions due to the Redtailed Hawk’s breeding season - and with visitors arriving in Madrid from all over the world for the International launch of the book - Moyhill approached RPM Print & Design in Chichester to print a limited edition presentation set. This partnership between Moyhill and RPM resulted in the winning entry in the “Digital Books” category of the British Design & Production Awards held on Tuesday 9th November at The Brewery in London. The team at Moyhill consists of Sally Cronin, an author and broadcaster who deals with the marketing before and after publication of their books and David Cronin who focuses on book design and cover design. 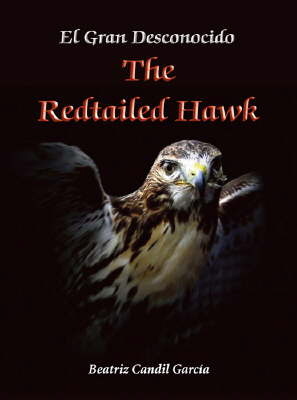 Following the successful Launch of the book, in Madrid, in June 2004, The Redtailed Hawk was then published for general distribution through Trafford Publishing. Award winning designers “Moyhill Publishing” designs Books and Covers for small publishers and authors who self-publish. Moyhill works with authors who are looking for a professional approach to the presentation of their novels and non-fiction books. They are committed to the personal, one-to-one attention offered to their customers from first point of contact through to a successful book launch. They believe that only by collaborating closely with the writer can the most successful result be achieved. We take the pain out of publishing, working closely with authors and printers to define the way the book and cover will look, ensuring that the final printed version meets our high standards. We also offer a full editing and proof-reading service. Moyhill works mainly with authors in UK, Ireland and Mainland Europe.